I’m writing this on January 8th, the anniversary of Elvis Presley’s birth. Even for devoted Elvis fans, it is a date that is easy to miss each year. After all, Elvis is the only celebrity I know whose date of death is more celebrated than his date of birth. Of course, economics is the reason. It’s easier for Elvis Presley Enterprises to draw a big crowd to Memphis in the summer than it would be in the winter. I know that Graceland holds commemorative events around Elvis’s birthday each year, but let’s face it—Elvis Week in August is by far the bigger money-maker for EPE. For me, though, January 8th is the appropriate day each year to celebrate and give thanks for this unique man’s life and work. So in this space I’d like to share my thoughts about Elvis on this special day. 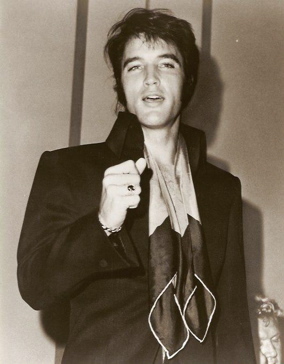 Each January 8th I think about how old Elvis would have been had he lived and how his career might have unfolded. It’s hard to believe that he died at the young age of 42. 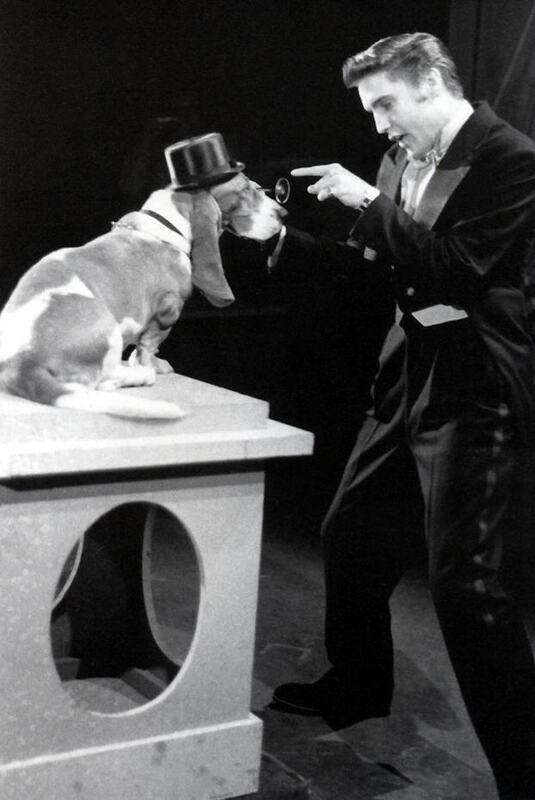 Had he lived longer his days of rocking on the Las Vegas stage would surely have ended years ago, but if he had taken care of himself, there’s no reason why he couldn’t have still been a working entertainer even at an advanced age. Frank Sinatra received a Grammy Award at age 77 and performed in concert at age 78. And it would have been something special had Elvis lived long enough to record with his daughter, Lisa Marie, like Frank did with his daughter, Nancy. Sadly, drugs and a destructive lifestyle took Elvis away from us over three decades ago, and dwelling on what might have been is an illusion that quickly fades away. We’re left on the anniversary of his birth each year to remember and honor Elvis for what he accomplished in his all too short life. On his birthday each year, then, let’s remind ourselves of why we are Elvis fans. First, we can be proud of his musical legacy. Clearly, in the mid-fifties Elvis pioneered the merging of country, gospel, rhythm and blues, and white pop sounds into a new vocal style that dominated popular music for decades to come. And the impressive thing is that he came by it naturally. He didn’t sit down with some PR men and come up with a gimmick sound to be packaged and fed to the public. Instead, from an early age he took in the various kinds of music available to him as a poor boy growing up in Tupelo and Memphis. What emerged in Sam Phillips’s studio, and later with RCA, was a natural mixture of contemporary sounds. Then, we can be proud of Elvis’s roll in improving race relations in America. 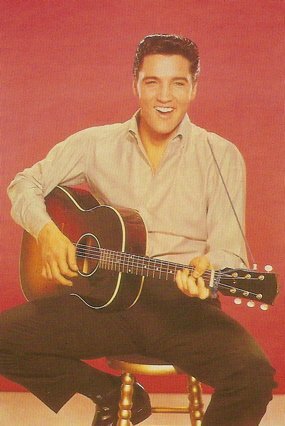 Elvis himself declared that he had not invented rock ’n’ roll, but there is no doubt that he popularized it. He was the first to dominate the charts with it, and he brought other rockers, both white and black, with him. 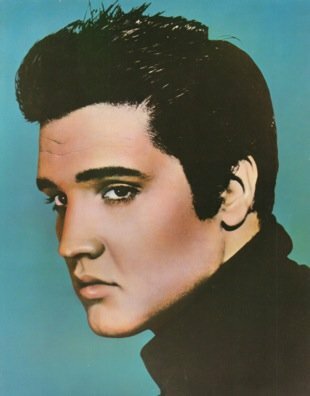 When Elvis came along, there were separate charts and radio stations for country and western, rhythm and blues, and white pop. Elvis challenged such rigid distinctions in music. His recordings topped all three charts, and his success helped black artists to cross over from the R&B charts to the mainstream pop charts. The racial integration of their music made it natural for young people to embrace the Civil Rights Movement, the beginning of which coincided with Elvis’s rise to fame. Elvis even played a role in the Women’s Rights Movement. He empowered women to break away from the female stereotypes of their parents’ and grandparents’ generation. Just read the following paragraph, which is taken from a letter a young woman sent to the Tacoma News Tribune in 1957. As much as I admire Elvis for those accomplishments, every January 8th I find myself dwelling more on my personal relationship with Elvis through the years. No, I never met him, but he has been a constant companion since I became a fan at the age of 14 in 1963. Through the years I’ve purchased all of his records (and later CDs) and listened to them regularly. Fifty later I still enjoy his music as much as I ever did. Although some years ago I lost the urge to accumulate, for many years I was an avid Elvis collector. I can still remember the time when as a teenager I rummaged through garbage cans behind a juke box distributor business looking for discarded 45 rpm Elvis picture sleeves. And then there was when I discovered Treacher’s Records, which specialized in Elvis material in Vancouver, B.C. It was like a candy store for Elvis collectors. Then there were the hours I spent in theaters on Saturday afternoons in the sixties viewing Elvis movies, and the amazing experience of actually getting to see him perform live in concert—twice! After his death, I discovered an antique store that sold bootleg Elvis records, which opened for me the world of alternate studio takes and concert recordings that seemingly has no end. Lately, of course, I’ve had the pleasure of writing a book about Elvis and launching this web site. Yes, I have a lot to celebrate each January 8th. "It would have been something special had Elvis lived long enough to record with his daughter, Lisa Marie, like Frank did with his daughter, Nancy."